The Hearth Patio & Barbecue Association (HPBA) moved to delay its lawsuit to allow the Trump administration time to review the settlement proposals that HPBA submitted in 2015 and 2016 and re-evaluate whether some issues can be settled out of court, according to its court filing. The EPA and the environmental groups who intervened did not oppose the delay. They filed their motion with the US Court of Appeals weeks before they would have had to meet the first filing deadline. The original suit was consolidated to include challenges from HPBA, the Pellet Fuel Institute (FPI), Tulikivi and Richard Burns and Company. In November 2016, the EPA informed HPBA that it would not continue in settlement talks, but they did reach an amicable settlement with Tulikivi, a masonry heater company that wanted masonry heaters to be a regulated technology under the NSPS. The EPA is seeking additional information with regard to PFI’s lawsuit. 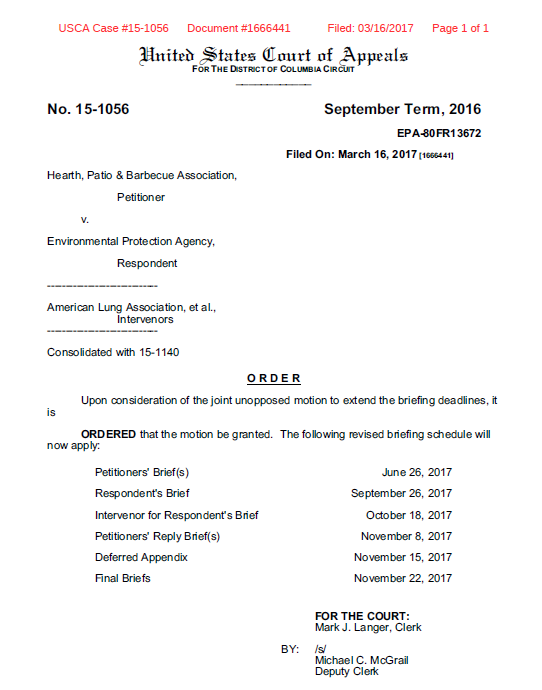 On March 16, 2017, the United States Court of Appeals approved the 90-day delay sought by HPBA and set a new briefing schedule for the parties that plays out through the end of 2017. HPBA must file its brief with the Court on June 26, laying out a final list of issues it intends to litigate. After that, the EPA will respond with its positions on September 26, revealing how it will defend those portions of the regulations. Less than a month later, the interveners must file their briefs. Interveners include the American Lung Association, Clean Air Council, and the Environment and Human Health, Inc. They are represented by Timothy Ballo of Earthjustice. HPBA is simultaneously moving a bill in Congress to delay the 2020 provisions of the NSPS by 3 years, which in turn will give the legal proceedings time to play out. Another bill would erase the wood heater NSPS altogether. HPBA does not support this, but some individual boiler and pellet producers support it. 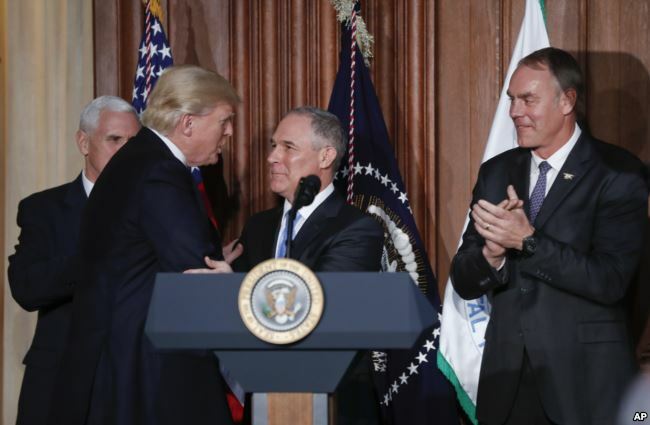 “The Trump Administration is a wild card for all parties in the lawsuit and the Alliance for Green Heat urges all parties to support the core provisions of the NSPS,” said John Ackerly of the Alliance for Green Heat. “For the future of wood heating in the US, we need to protect the transition to cord wood testing and adopt affordable test methods that reflect how consumers use stoves,” Ackerly added. 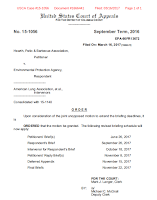 A blog “Hearth industry lists grounds for lawsuit against EPA” by the Alliance for Green Heat in 2015 laid out more details of the substance and process of the lawsuit. One often overlooked point is that HPBA does not appear to be challenging the 2020 emission standards for wood or pellet stoves, but only for outdoor wood boilers and warm air furnaces.